PORTLAND, Ore. (Reuters) – Environmental groups have sued Oregon wildlife officials for removing gray wolves from a list of state-protected endangered species, officials said on Thursday. Three environmental groups led by the Center for Biological Diversity filed a brief petition for judicial review with the Oregon Court of Appeals on Wednesday. “It’s not rocket science that roughly 80 wolves in 12 percent of suitable habitat in Oregon does not equal a recovered population,” Noah Greenwald, endangered species director for the Diversity group, said in a statement announcing the legal challenge. 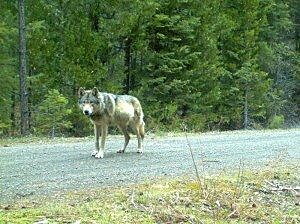 The petition, which Greenwald said is the first step in a lawsuit, comes a month after the Oregon Fish and Wildlife Commission voted to remove the wolves from the list. The state said the wolves had recovered in sufficiently healthy numbers and no longer faced the threat of extinction. The environmental groups have long-argued that state biologists’ population viability surveys were flawed. Dennehy said delisting the wolves would not immediately change protections for the animal, and that a general sport hunting season would still be prohibited. However, controlled hunting for wolves could begin as early as 2017 if the wolf population continues to grow and the state observes chronic livestock or deer and elk population losses, she said. Gray wolves, native to Oregon, were wiped out in the state by an eradication campaign in the early 20th century. They first returned in 2008 and have spread to several parts of the Pacific Northwest state. The commission’s decision covers all wolves in the state except a portion of the wolves on the west side of Oregon that are still protected under the U.S. Endangered Species Act. Last month, an Oregon hunter was charged with shooting dead a gray wolf, an offense that carries a maximum penalty of $6,250 in fines and up to a year in jail.